Instead of relying on networking and big data, production and test data in many companies are still an unused resource. 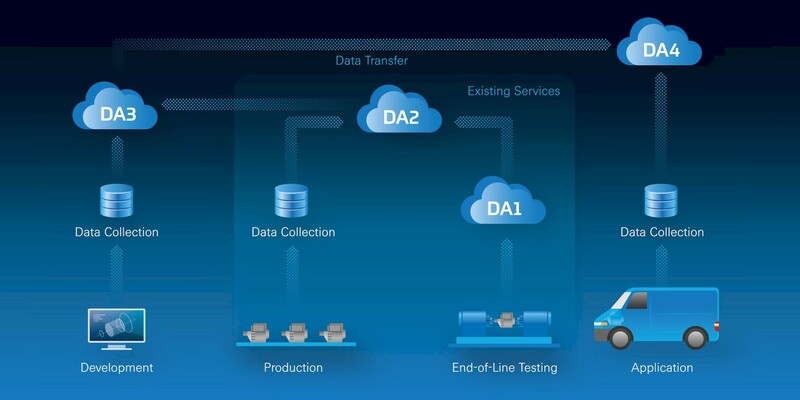 ZF itself relies on data analytics and is also offering this service on its test benches. Kathrin Wildemann has been a part of the permanent Copy Team at ZF since 2016. In her online and offline articles, she likes to cover electromobility and other topics that involve sustainability. This is a favorite theme in all the spy films: The hero is in a room late at night staring at a jumble of data and encrypted information on the monitor. Suddenly he sees a pattern that enables him to understand the system, crack the code and expose the big conspiracy. Compared to that, it should be easy to streamline production processes by leveraging the company’s data intelligently. Wrong! The data volumes generated in industrial production are huge. For the quality assurance of electric drives just off the line, the test benches alone record data for thousands of parameters. However, these data, together with information from production itself, are opening up opportunities to create a more efficient overall process and maximum reliability for it. Ultimately, at end-of-the-line testing, the test benches deliver not only the final “OK” or “Not OK” test result, but also all kinds of raw data. This gives operators detailed insight into the product and the production workflows. The pre-requisite for this, above all, is extremely high computing power. That's what makes “Advanced Data Analytics” possible, the magic word that enables ZF test benches to tap into the potential of production data. “In production, for example of transmissions, electric drives, steering or braking systems, we generate vast amounts of information“, explains Gert Jeckel, data analytics expert in test bench development at ZF. “Simply put, we collect all these data at a central location, like in our ZF IoT Cloud. There, smart, constantly learning algorithms analyze these data for repeating patterns that indicate possible problems.” If a product does not pass the final quality check, the data analytics applications not only look at the obviously exceeded limit value, but the overall picture of all measured parameters. This is how they immediately identify the cause of the malfunction. This knowledge enables accelerated repairs without having to spend valuable time looking for the cause after disassembly. Since no one knows a product better than the engineers who developed it and came up with the associated production sequences, ZF is able not only to customize the algorithms to the respective application, but also the data necessary for the analysis. Test benches are therefore configured in advance so that their test results can also be used optimally for later analysis. “In the process, we take into account the critical interfaces, plan the measurement without irrelevant inquiries but with optimized limit values and organize the collected information into an easy-to-analyze format”, adds Jeckel. 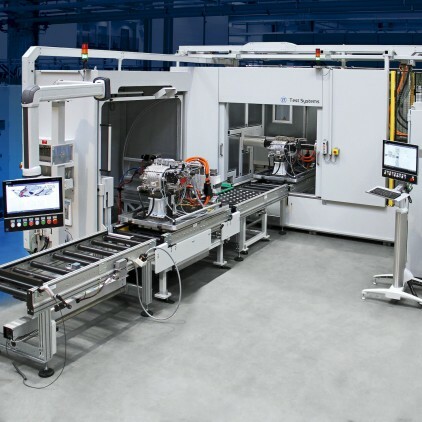 Using this approach, his colleagues have, for example, developed a test bench for the ZF electric axle drive that a major automotive customer will soon be using in volume production. This test bench can of course be used for all products and applications. The ZF data analysis approach can be expanded to go above and beyond already existing systems. It is conceivable that end customers will one day be able to connect to the ZF IoT Cloud. Based on the actual use of a ZF system, algorithms calculate the next predictive maintenance appointment. They can also issue a warning early on regarding minor disruptions before they turn into major damages. Another advantage of this approach: “If we combine the knowledge gained from data analysis with our comprehensive product and process knowledge, we can offer our customers an optimal product tailored to their needs", adds Markus Kramer, Sales Manager ZF Test Systems. In the end, engineers can continuously enhance products based on the operational data and adapt them to customer needs.